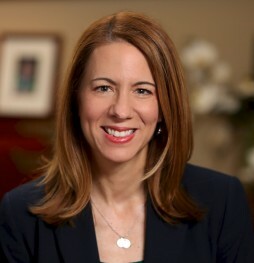 Ellen Riddleberger is a Vice President at McAllister & Quinn, managing an impressive array of clients including nonprofit, higher education, and governmental organizations, with a variety of interests including human and social services, health, law enforcement/justice, and arts and culture. She specializes in providing clients with strategic government affairs analysis and advocacy services as well as assistance with fund development through federal grants and foundations. Prior to joining McAllister & Quinn, Ellen worked for Congresswoman Lucille Roybal-Allard (D-CA) for more than 11 years, and as her Chief of Staff since 2002. Congresswoman Roybal-Allard is a senior member of the House Appropriations Committee and a former Chair of the Congressional Hispanic Caucus. During her tenure with Congresswoman Roybal-Allard, Ellen worked on the Appropriations, Budget, and Financial Services Committees, as well as handled a broad spectrum of issues, including health, labor, justice, education, and women’s and children’s issues. Ellen is a native of Sacramento and earned her B.A. in political science at California Polytechnic State University, San Luis Obispo and her M.A. in political science from Stanford University. She serves on the Board of Directors of the National Women’s Hall of Fame and is active in local and national politics. Discussion Leader: “The Rise of Populism on Both Sides of the Atlantic,” Friedrich Naumann Foundation Conference: The Current State of Transatlantic Relations: An Assessment. Chicago, 2016.